Despite Vermont’s promotion of locally grown and distributed food, raw milk continues to be a controversial item. What are the laws and regulations surrounding raw milk? How do they impact farmers and consumers? Resolving this controversy could be the key to a healthier, more socially conscious Vermont. Milk has been a part of people’s lives since perhaps as far back as 8000 BC with the introduction of domesticated animals (Historical Timeline, n.d.). It was not until 1857 that the discovery of pasteurization was made by French Biologist, Louis Pasteur, which would help with ailments that were beginning to affect many people due to the lack of cleanliness, the growth of farms, and the change of diet and traditional practices (Louis Pasteur: Pasteurization/Vaccines, n.d.). This, however, was not a commercialized practice until 1895 in the United States (Historical Timeline, n.d.). With the arrival of pasteurization in this country came laws surrounding the distribution of raw milk, which had been continuously contaminated causing widespread illness. Technological innovations revolutionized agricultural production. Substituting machinery and equipment (capital inputs) for labor increased the efficiency of milk production. This substitution is one facet of the industrialization of agriculture. Dairy farmers redirected their energies toward milk production when farm machinery eased other tasks such as crop or forage production. Inside the dairy barn, mechanical milking machines, feeding systems, and waste-handling equipment contributed to efficiency gains. Widespread electrification of rural areas allowed milk producers to use refrigeration and bulk tank milk storage, with their associated improvements in health and sanitary conditions. Ongoing design changes in milking parlors and animal housing, development of computerized monitoring tools, and further refinements of technologies continue to change milk production” (Blaney, 2002). Consciousness around commercialization has been a growing concern for small farmers and consumers with the shift of management practices in dairies, the growth of farms, and the inevitable loss of family-run operations. According to the Vermont Agency of Agriculture there are 993 dairy farms in the state in comparison to 11,206 dairies in 1947! This brings us up to date, for the most part, and into the current controversies that farmers and consumers alike face. Technology has changed the face of management practices making it both clean and safe to consume; however, now that most farms are no longer family farms there is a new need to maintain the standards that exist to ensure the milk that is being consumed does not harm anyone. That said, the small farmers that still do exist and are practicing healthier standards would benefit from a raw milk market and clientele. The currents laws in Vermont make it increasingly challenging for farmers to provide this service. 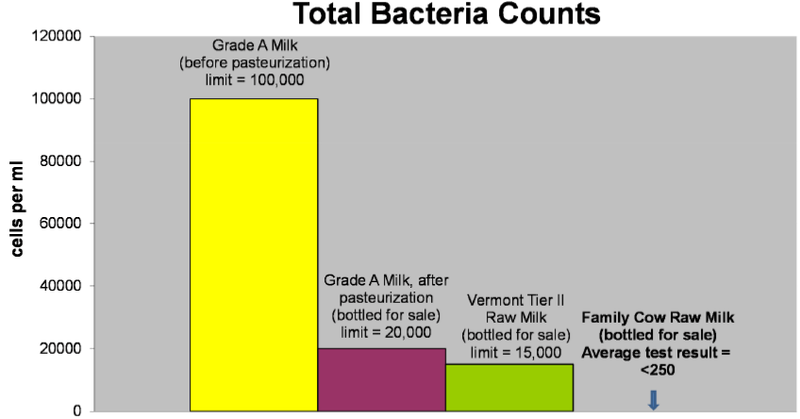 Q: What are the current laws surrounding the sales of raw milk in Vermont and why? A: There are a lot of rules (I attached a list of the regulations). There are two Tiers when selling raw milk. Tier 1 you can’t sell more than 50 quarts a day and are less regulated. Tier 2 you can sell up to 40 gallons a day and there are many more regulations. The main things are we can’t sell in stores. We can sell at the farm and we can deliver because we are Tier 2. Our milk gets tested twice a month and our animals need certain vaccines and tests. These are all safety things because milk can carry dangerous bacteria if not handled properly. Q: How do the laws help or hurt you in the state of Vermont? A: The rules are a bit strict. Having a restriction on how much we can sell a day is frustrating because our sales vary greatly depending on what day of the week it is. It would be better to have a weekly total not a daily. Another regulation that is expensive and frustrating is getting the animals tested for TB and Brucellosis each year. It is expensive and there hasn’t been a case of either of these diseases in cows in many years in Vermont. Q: Would you like the current laws to change? A: Yes. I would like to sell milk in stores. I would like the daily total I can sell to change. I would also like the animal testing to be changed. Although individuals in households have varying degrees of freedom, Jungbluth et al. (2000) argue that they can have an important impact by changing their behaviour, in particular their food choices. The degree to which individual behavioural change can reduce the environmental impact depends on several aspects (Dietz et al., 2009): (a) the impact the behaviour has, (b) the number of people who perform the behaviour, and (c) the percentage of those people who are willing or able to change the behaviour, referred to as ‘plasticity” (Klöckner, C. A., 2013). As suggested by The Family Cow Farm in their interview and the above statement related to changing behavior, the impact will come when people demand an outcome and change their own behavior. Until this happens laws will remain the same. Just as there was a demand from the people in the late 1800s for safer regulations, if there are to be any changes it must come from an increased demand from the local economy and political voice. The field of ecopsychology is thus trying to provide insight into this particular gap in psychological research by providing insight into the relation between self and the natural world. Adams (2005), supportive of an ecopsychology, suggests a phenomenological position that draws heavily on the work of, for example, existential-phenomenological philosopher Maurice Merleau-Ponty. The ontological position of Merleau-Ponty (1962, 1964) points to humans as a part of the natural world through their lived body as opposed to the abstract, material body, which is the object for the natural sciences. From such an existential-phenomenological philosophical position, one could describe the essence of choosing a lifestyle based upon organic food as a fundamental way of relating to one’s own nature. The choice of an organic diet could perhaps mean a return to nature and thus to our being” (Essen & Englander, 2013). The choice for raw milk and the shift of consciousness to a nature-based society — or a more forward-thinking society that honors the changes our environment has been trying to warn us about — could be the key to a healthier, more socially conscious future. Klöckner, C. A. (2013). A comprehensive model of the psychology of environmental behaviour—A meta-analysis. Journal of Global and Environmental Change, 23(5), A comprehensive model of the psychology of environmental behaviour—A meta-analysis. Retrieved from the ScienceDirect database. 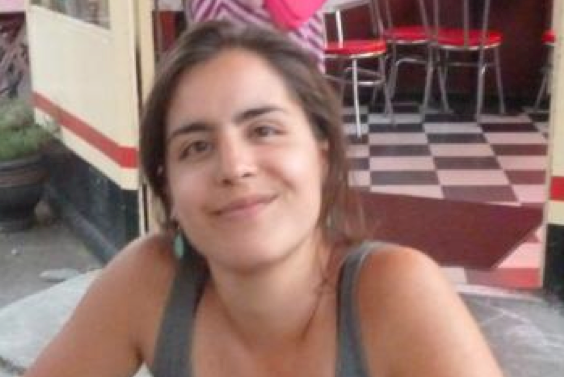 View Alicia’s other article about Vermont immigrant rights leader Danilo Lopez. This entry was tagged bacteria counts, ecopsychology, pasteurization, raw milk, The Family Cow, Vermont dairy. Bookmark the permalink.